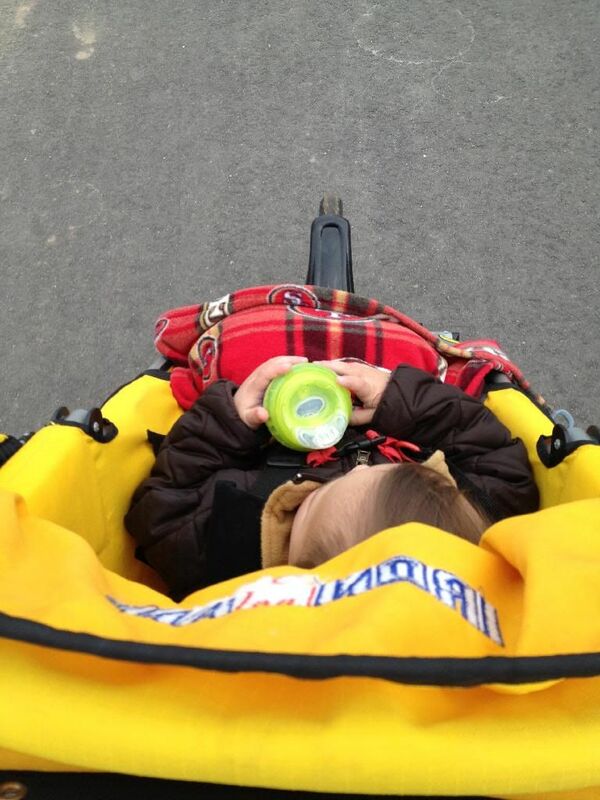 This Mama Runs | Page 2 of 3 | Tracking my fitness goals through 2014 and beyond! January has been a really hard month for me when it comes to fitness. First, I was almost starting over again with working out, since I’d slacked off during the holidays. Then I had a stomach bug. Next came winter storm number one. Now we’re in the midst of storm number two. But you know…I think it’s going to be okay. The cold weather is out of my control. Sickness and snow is out of my control. All I can do is MY BEST in the circumstances. And that I believe I’ve been doing. So it’s Wednesday, and I’ve only run 6 miles this week. 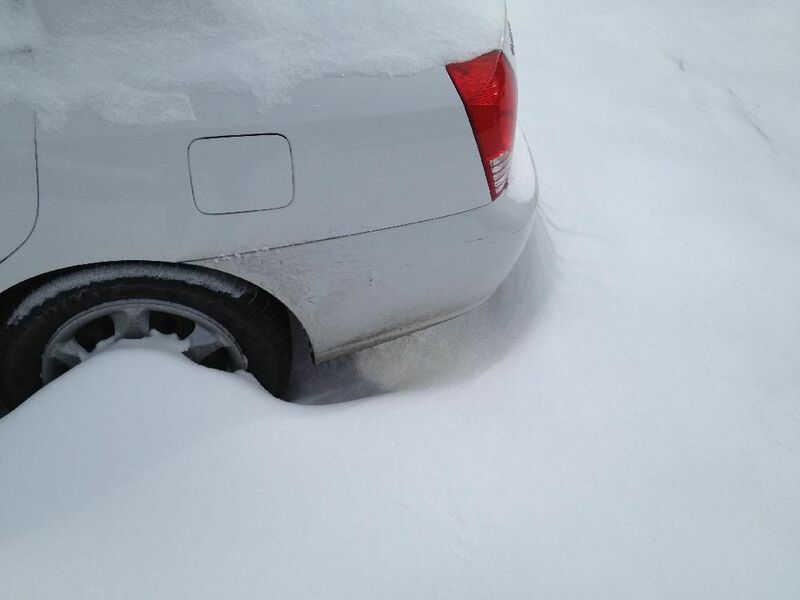 But my car is literally snowed in (I don’t own a shovel, either). I don’t have a treadmill at home. I can’t run through a foot of snow outside with the jogging stroller, and the base gym is closed. It’s out of my control! What I can do is a home workout DVD to get some cardio in, and I can lift weights. It’s easy, I think, for myself (and probably a lot of people) to get focused on what you can’t or didn’t do- the FAILURES. But there’s no point, especially if it’s out of your control. Even if it was in your control, if it’s done and over with…move on! Focus on what you can do, even if it’s not what you planned. Be flexible. 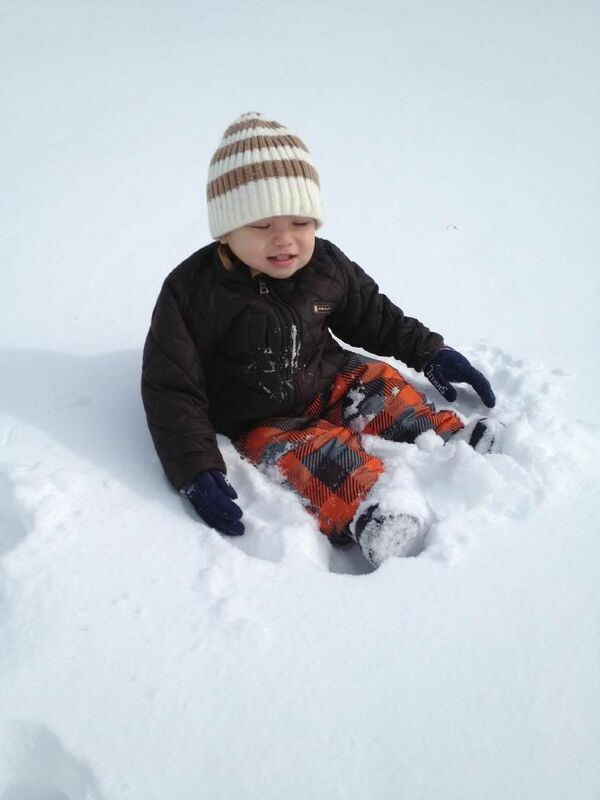 Stay active- play in the snow with your toddler or bounce around to a free online YouTube dance workout video. Do some crunches while your dinner is cooking. If I keep this mindset, my active lifestyle will be a SUCCESS. I’m not going to stress over meeting my Winter Miles Challenge this week. The whole point of the challenge is for people to stay active when the weather is cold and nasty. You don’t have to be on the track or treadmill for that to be true. Make do with what you have. He’s so light and skinny, he doesn’t even sink in! 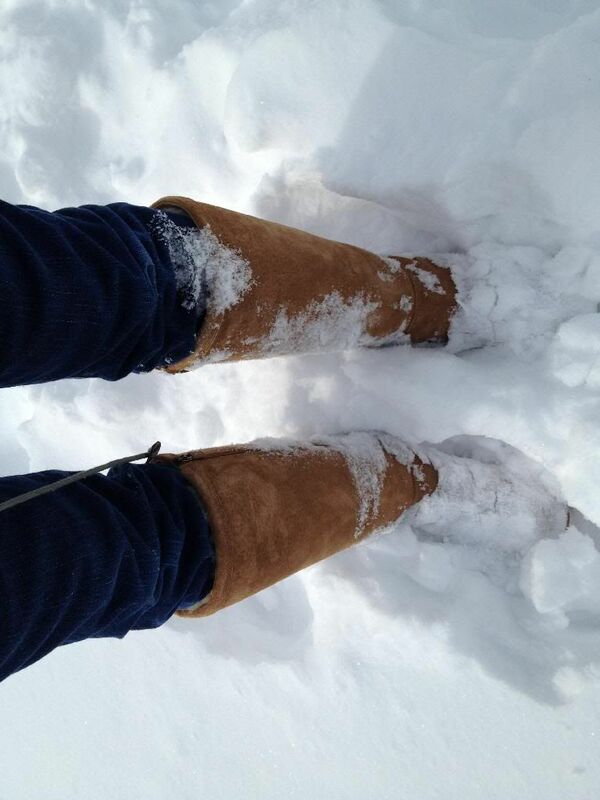 Finally getting some use out of these Uggs. Do you find it tough to let go when things don’t go as planned? 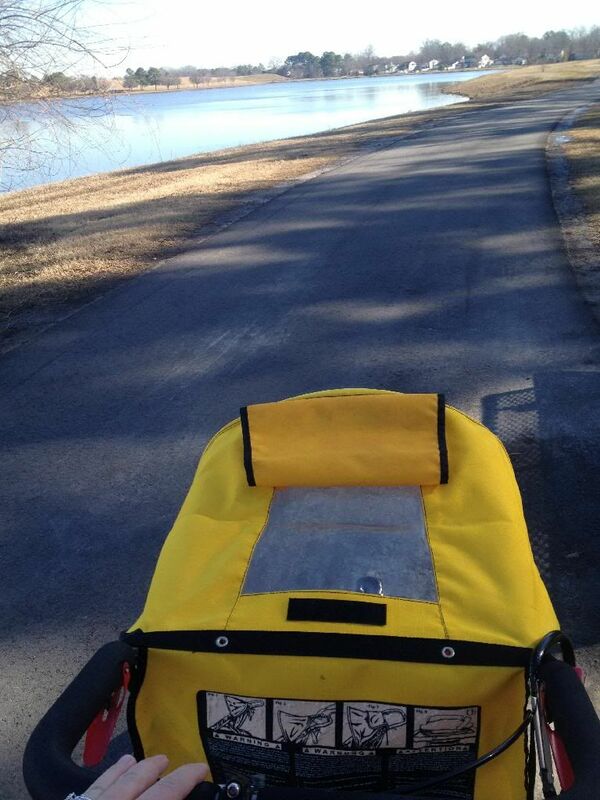 This entry was posted in Fitness and tagged fitness challenges, snow, Winterstormleon on January 29, 2014 by Elisebet. Too few calories and not enough sodium? Wow, it’s almost a week since I last posted! Rather than recap everything I did last week, I’ll just direct you to my Fitness Friday (1/24/13) post on my other blog, mylifeaworkinprogress.com. It was an okay week. Not super fantastic, but okay. The weather has definitely made things difficult. This morning I had a 5.4 mile run with my running buddy, and then I walked around leisurely for 45 minutes or so around the playground while Baby J got some exercise. By the way, walking is how I lost the biggest chunk of my pregnancy weight. You don’t have to be a superstar to lose weight. Just watch what you eat and be active! In just a few minutes, I’m going to do a light workout with adjustable Bowflex weights as well as some calisthenics-type exercises. Organization is not my thing, but it really needs to be. I think I’ve settled on making MON, WED, FRI my big cardio days with light strength training. Then TUES, THURS, and SAT I’ll focus on building muscle and just light cardio. Sunday will be a complete rest day. It’s doable, but my diet is a bit of a concern right now. Since I’ve been losing weight for a while now (really, almost 2 years), I’ve had MyFitnessPal set at 1,500 calories forEVER. Other than my weekly cheat day (when I have one), I rarely go over my calorie limit. It’s worked thus far. I’ve lost all but a few stubborn pounds around my middle. Well, as I’m working out more, I’ve found my appetite is even less. I’m full at 1,000-1,200 calories a day. With trying to build muscle, that’s not going to cut it. I need to figure out a way to eat more, but it has to be the right types of food. But then I also wonder…shouldn’t I keep restricting my intake, since I have fat to lose? Or will the fat eventually melt off, even at a high calorie limit…as long as I’m working out/building more muscle? I just don’t know enough about this stuff. I mean, I know how to eat right, but building muscle is new to me. I don’t want to make all this effort and not see results, because I’m going about it the wrong way. When I worked out with my running buddy at the YMCA the other day (I came as her guest, but that was my only freebie, booooo), I felt really sick in the beginning when we were doing sets of ab exercises along with push-ups. It took about 45 minutes before my stomach settled. I was really pale and felt lightheaded and nauseated. After some Googling, I have self-diagnosed myself. My mother has hypotension, and I’ve always had great blood pressure, no matter whether I’m in shape or overweight. In fact, I had “beautiful” (<my OB’s exact description) blood pressure during my pregnancy, even though I gained 70lbs or so. I think I’m genetically predisposed to hypotension. Add on to that the fact that I rarely eat processed foods. It’s amazing how little salt you consume when you make things from scratch. Well, I usually put a Propel Zero packet in my water when I run. This time at the gym, I didn’t. So I think my BP dropped real low, especially because my head was on level with my heart and feet. Now I know I need to always have access to electrolytes when I’m exercising. I may need to increase my overall sodium intake too. Do you think I should up my calorie intake or wait until I’ve lost the stubborn last few pounds? 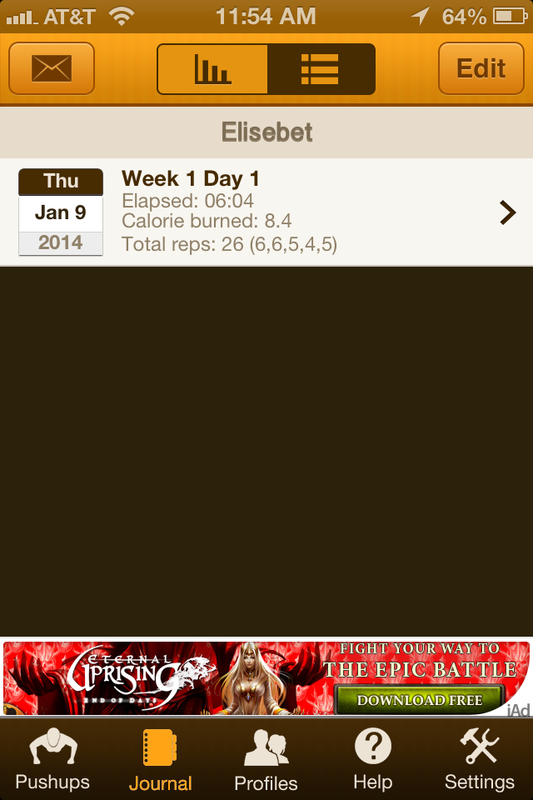 This entry was posted in Fitness on January 27, 2014 by Elisebet. Brrrrrr Baby, it’s cold outside! The last day I posted was Saturday, when I had an encouraging run. Sunday I took the day off. Then Monday morning, I ran with two friends (and Baby J, of course). We did two laps together, which is 5.4 miles. Most of that was jogging, but we did walk a little bit…perhaps a mile. After my friends left, I did another lap…mostly jogging, but some walk/sprint intervals. I wanted to change it up a bit for once! So it was a total of 7.2 miles. Today, Tuesday, I planned to workout at a Navy gym. One of the local bases has a family workout room in one of the gyms. I haven’t checked it out yet, but I heard they have a sort of gated area, where you can stick your kid, with treadmills, bikes, and weights next to it. Turns out a friend treated me to a movie (and some delicious theater popcorn)! Her husband watched our kids while we were gone. I can’t remember the last time I saw a movie in the theaters! Between the 2.5 hour long “Catching Fire,” nap time, and baby sitting this morning, there wasn’t time to make it to the gym. There’s snow on the ground right now! First time this year. If it’s still cold tomorrow (and it’s supposed to be), I’ll have to make some indoor plans. If the bases aren’t closed (two inches of snow freaks everyone out around here), I’ll head over the gym there. Another option is to meet a friend at the YMCA. I get one free day and childcare, as a guest. Might cash it in tomorrow! I’m upping my winter miles challenge this week from 10 to 20 miles. I think I can do it! How was your weekend and the beginning of your week? 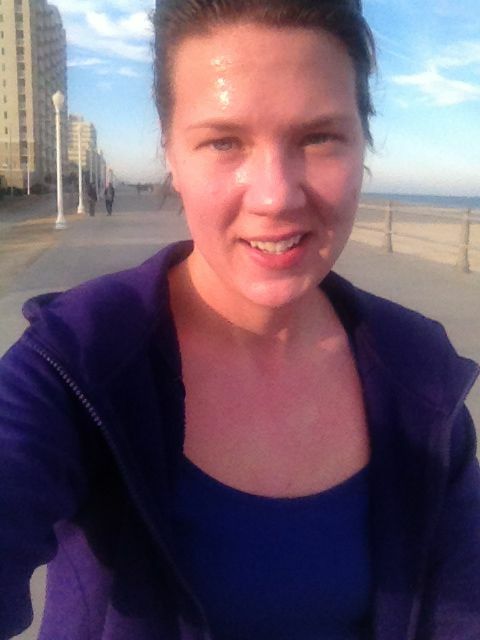 This entry was posted in Running and tagged cold, snow on January 21, 2014 by Elisebet. TGIF and I’ve joined the Winter Miles Challenge. You can too! 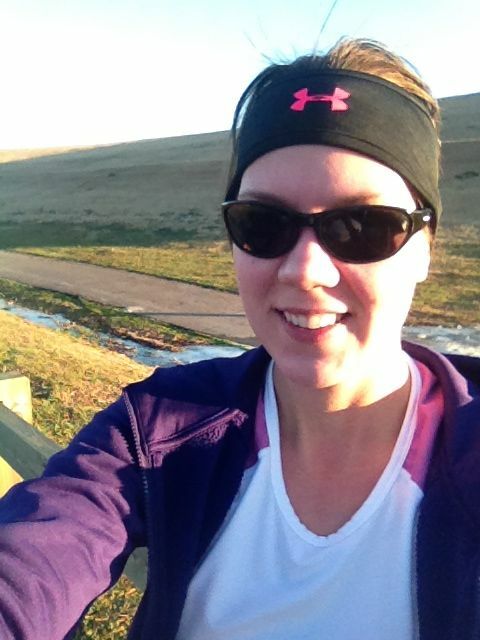 I’ve signed up for the 2014 Winter Miles Challenge hosted by Run with Jess! This free challenge is to motivate us all through the toughest two months of the year- January and February. Although it doesn’t get really cold here in Southern Virginia, I still can use the motivation. You don’t have to be a blogger to participate, so check out the link above for more info and to sign up. The challenge is open to everyone, and you can pick how many miles you plan to run each week (and change that at any point). And there are prizes you could win! I knew this week I’d have trouble getting mileage in, so I picked the beginner goal at 10 miles of running a week. We’ll see how I do, but hopefully by February I’ll be in the next category, which is intermediate. On a different note, today I blogged a Fitness Friday post on my other blog, My Life: A Work in Progress. If you’re interested, you can pop over there and read my current fitness goals as well as view some photos. I even posted my measurements (scary stuff- for me!). You’re also welcome to join me over there every week for Fitness Friday, and you don’t need a blog to do so! Today’s run was the third this week. And I’ve gotten progressively slower. But I ran a little farther, so I’m not depressed about it. It balances out, right? I figure it’s going to take a few weeks before I get back into the swing of things. I will be able to run faster and farther…it’s just going to take some time to build my endurance and speed back up. Wednesday, I ran 1.8 miles at an average pace of 9:36. Thursday, I ran 2.15 miles at an average pace of 9:39. Today (Friday), I ran 3.62 miles at an average pace of 10:58. I actually did run/walk intervals for a couple miles after that, but I wasn’t tracking the time or exact distance. I was very stiff and sore today, and really struggled to put one foot in front of the other. Just have to keep working at it! I haven’t done any ab or arm exercises yet today, but I’m about to run my push-up app. How was your day? Did you meet your goals this week? Are you working out this weekend or taking a break? This entry was posted in Running, Winter Miles Challenge 2014 and tagged running, winter miles challenge on January 10, 2014 by Elisebet.